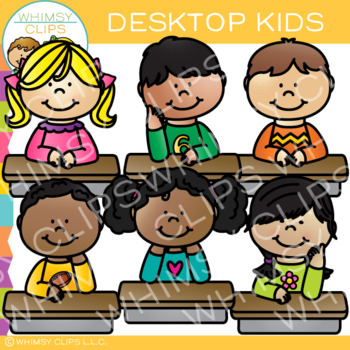 This fun set of clip art features kids at desktops. You could use these cuties at the top of worksheets, classroom posters and more. The desktop kids clipart set contains 12 image files, which includes 6 color images and 6 black & white images in png. All clipart images are 300dpi for better scaling and printing.